In the early 1970s I worked, for a short time, on Fraser island as a yardman. My duties included watering and tending the grass on the airstrip so that the rich could fly in on Friday night from Sydney or Brisbane and stay at the ‘Polynesian Village’ called Orchid Beach resort. I was witness to more than one drunken landing in a light aeroplane. I even saw a plane ditch in the sea off Indian Head. On another occasion, a pilot landed beside me and hit a shaft of water thrown out by my sprinklers. Startled, the pilot made a swift left turn which left his plane nose down on the sandy runway. Luckily neither he nor I were injured. At the same time, the Bjelke-Petersen government leased Hamilton Island to one of the white shoe brigade, Keith Williams. Typically these businesses went bust. Probably they were designed to fail for that tax losses that they would deliver to a company that owned them. The lease on Fraser island was held by the brother leader of the National Party & deputy PM, Doug Anthony. Little was made of this during the campaigns is to save Fraser island from logging and sand mining. This may have been because the environmental movement was posing tourism as an alternative to these destructive industries. Similar arrangements are now being made in Tasmania, that is leasing national parks so that the rich can go and play there. The environmental defender’s office (EDO) organises a swim to the reef every year. Perhaps this year, the EDO should target saving our national parks? 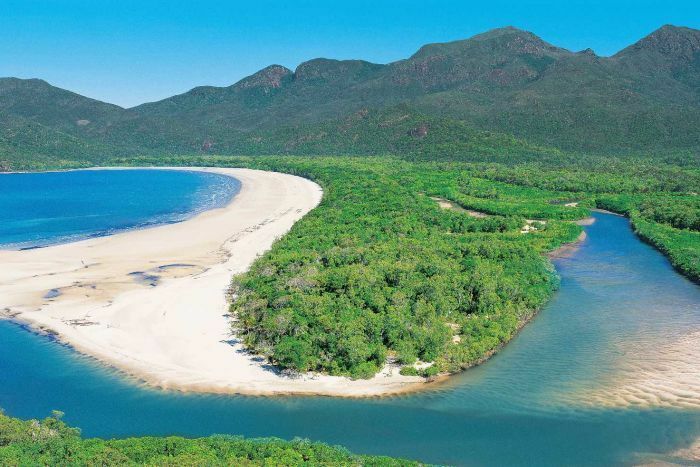 Are there any grassroots activist groups challenging the Qld Labor government on their attempts to lease out three national parks including Hinchinbrook Island just north of Townsville? Please let WBT know. The report below was from the ABC. 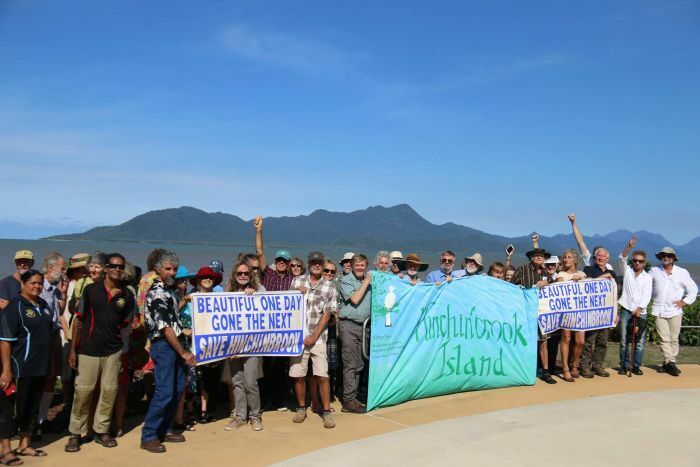 But environmentalists are “absolutely appalled” by the plan, with some vowing to fight commercialisation of Hinchinbrook Island in Queensland’s north. The Department of Parks and Wildlife only permits 40 campers overnight at a time because of the trail’s ecological significance. Marketed as “eco-accommodation”, this could include cabins, retreats, huts or glamping. This week, as family and friends gathered for Mrs Thorsborne’s funeral, many voiced their anger at the Government’s plans. 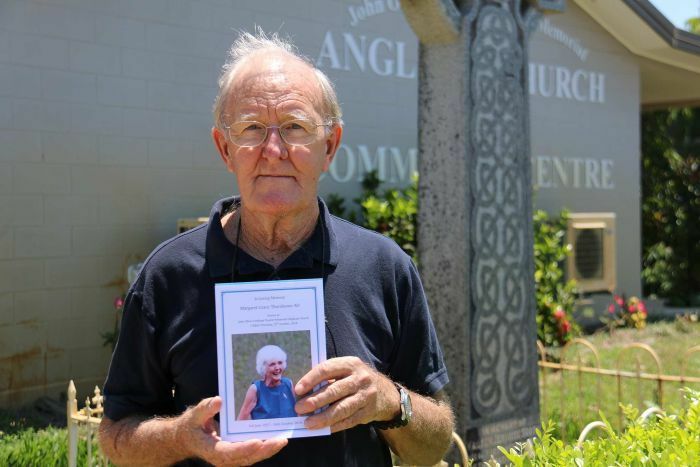 Mrs Thorsborne’s nephew John Thorsborne said she had “moved heaven and Earth” for six decades to preserve Hinchinbrook Island as a wilderness. 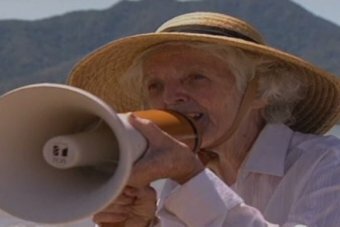 He said she would be “absolutely appalled” that private enterprise would be operating within national parks. “They are established by the state, they are funded by the state, they are managed by the state, and they are for the people of the state,” he said. 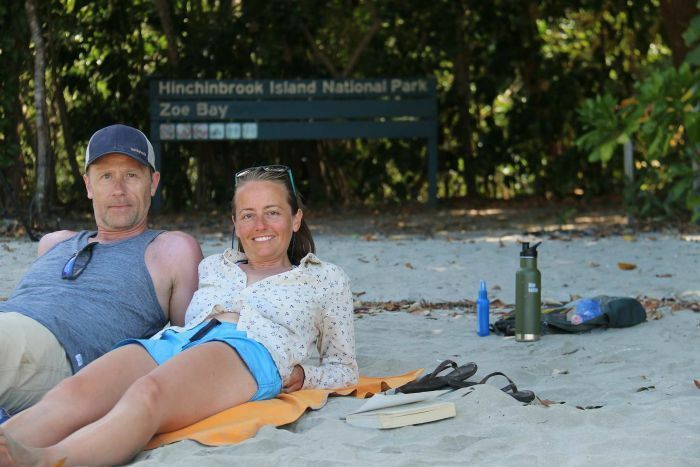 The State Government’s lease plans extend beyond Hinchinbrook to the Whitsunday Islands National Park and the Great Sandy National Park along the Fraser Coast. Government documents said the state-funded works and approvals would be delivered “at no net cost or risk to taxpayers” because it was hoped the value of the accommodation would offset the current cost of maintaining the trails. The Government would also pay for the civil works and “base infrastructure” for the accommodation along the trails, including land grading, additional roadworks, telecommunications, and vegetation clearance. “Go away, and leave it alone. More people will come when it is left the way is it, pristine,” he said. “I think those options are already available. 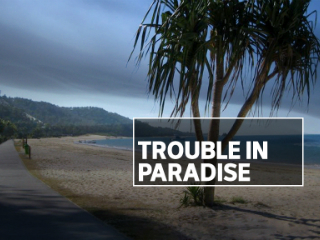 On other islands, like the Whitsundays,” Eddie Cleaver said. “There are not that many places left that you can you safely backpack across an island for six days, have minimum facilities and not bump into a small hotel,” Tamie Cleaver said. “I think that is part of the problem, they are trying to make it a business,” she said. The State Government is looking to give companies a fast-tracked “coordinated approvals process” and could offer rent abatement during that time. 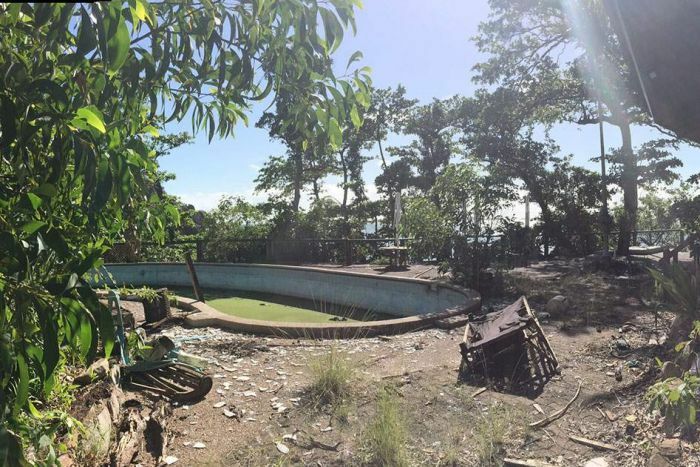 The island’s local councillor Glenn Raleigh and tourism operators wanted the resort fixed before they invited any more private companies to invest. “These private investments in national parks need to have some sort of mechanism in place, so that if they do go belly up there is something in the kitty to restore the environment,” Mr Raleigh said. “I don’t believe the community has been consulted, myself included”. Boat operator John Schmidt said he wasn’t aware the Government was going to lease more land out to companies. “It’s decrepit, it’s a mess. Nobody is bothering to fix it up. That’s what happens to leases. People just walk away,” he said. “We have listened to industry and they do need certainty on their lease to make sure they can make the investment,” she said. Ms Jones said Tasmania had recently taken “all of the eco-tourism market in Australia” after a private company took over some of the walking trails. “It is an increasing, competitive market in eco-tourism and we need to make sure we are partnering with the best in the business,” she said. “This is a weakening of protection of national parks in Queensland, we’ve never seen this before,” he said. 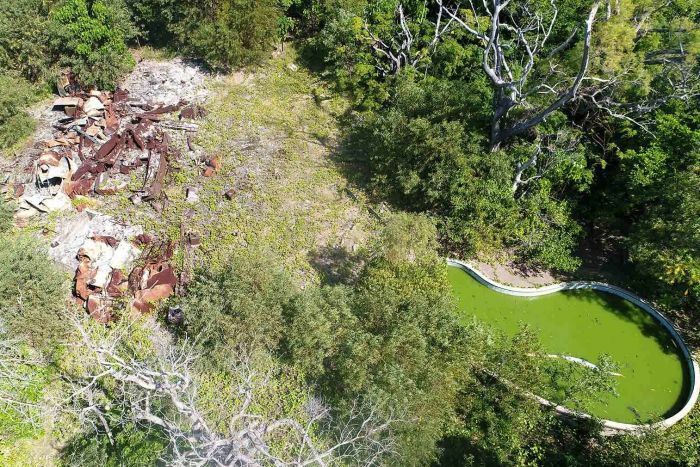 “We are doing separate work in regard to that resort, in ensuring that anyone that has a lease on one of our island has to be actively working on that lease,” she said. Katter’s Australian Party Member for Hinchinbrook Nick Dametto said the proposal was a “wonderful” investment opportunity for the region. “Our electorate is crying out for jobs and eco-tourism can provide just that,” he said. 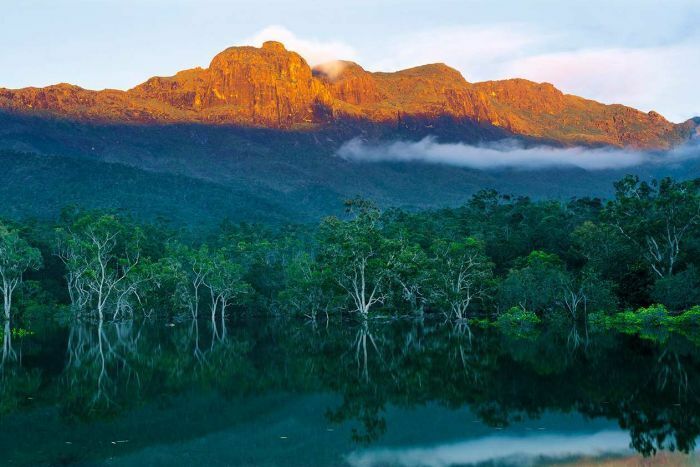 Mr Dametto said he had “no issue with the state offering exclusive ground leases on national park land,” because the option “makes sense if you want to market Hinchinbrook Island as a ‘stay and play’ destination”.